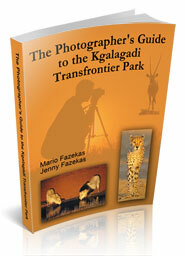 Thakadu River Camp lies on the south-eastern boundary of Madikwe Game Reserve overlooking the Marico River. 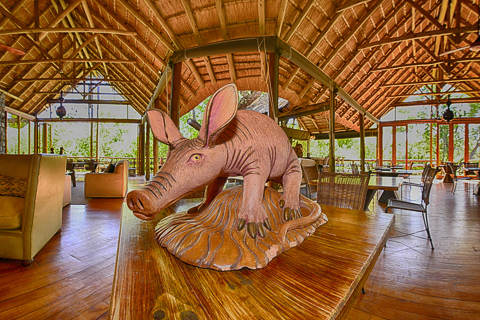 The name Thakadu means ‘aardvark’ in Tswana, one animal we, and many others, would love to see in the wild! 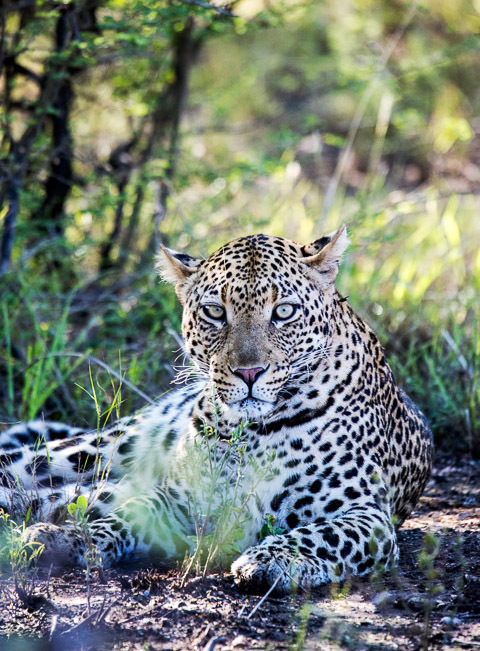 Thakadu is a beautiful tented camp that is community owned - the Molatedi community has an ecotourism partnership with North-West Parks and under agreement has a 45 year lease to operate a commercial lodge with traversing rights across the Madikwe Reserve. 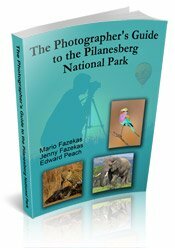 This concept is unique in that the community owns the development, with substantial benefits accruing back to the community itself. From the parking area you walk over a wooden bridge that takes you to the main lodge building. 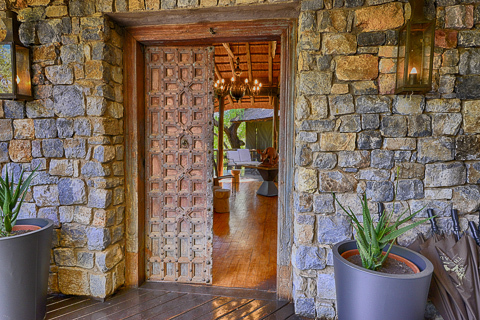 ...you are transported into a large open area of the main lodge where loads of light and fresh-air stream in through large glass doors, which lead from both the lounge and dining to wooden walkways and balconies. 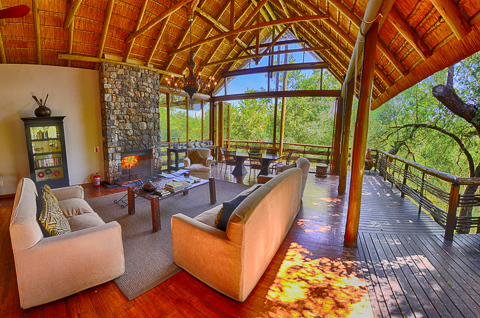 The lounge has a large fireplace and is both spacious and cozy at the same time; the dining area which also has a large fireplace, has an open feel and great views over the river and surrounding bush. After a warm welcome and a nice cold welcome drink Hanlie, the GM, showed us round Thakadu lodge. 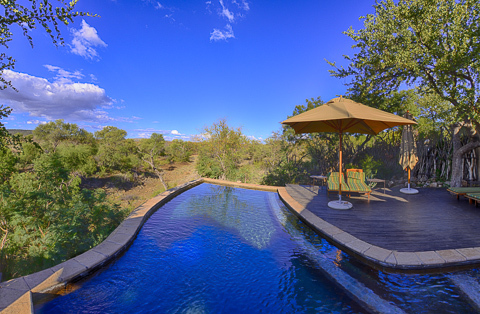 There are two bars; one is situated just off the main dining area and lounge while the other is on the pool deck with great views over the river and bushveld. Both are fully stocked with a great selection of well-priced South African wines and beers. 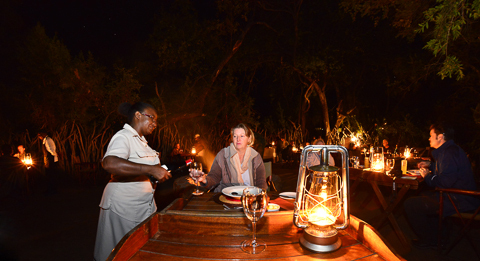 Meals are enjoyed in a number of venues; the main dining area, on the pool deck or in the boma which is situated on the banks of the river. 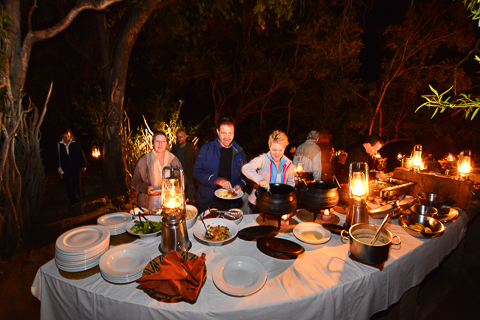 We had two boma dinners which is a change because usually there is only one during a 3-day stay and we enjoyed both. All our breakfasts where in the main dining area and consisted of a cold continental buffet - cheese, a selection of cold meats, scones, cereal, fruit, fruit juices and then your hot order is taken – eggs, bacon, sausage, mushrooms, toast, tea and coffee. Thakadu serves breakfast, lunch, high tea and dinner; so you will never go hungry. They have fresh bread which is baked daily and is delicious! Neil is the new chef and he went out of his way to help Mario with special meals. 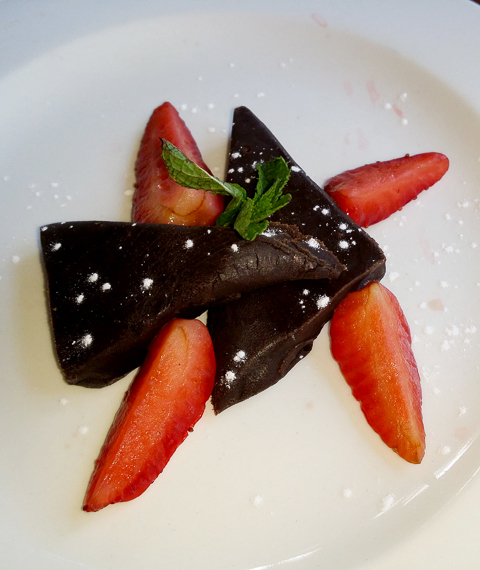 We loved the Kudu kebabs and the chicken kebabs at our boma dinner and I thoroughly enjoyed my Chocolate fudge with strawberry desert, both were mouthwatering. 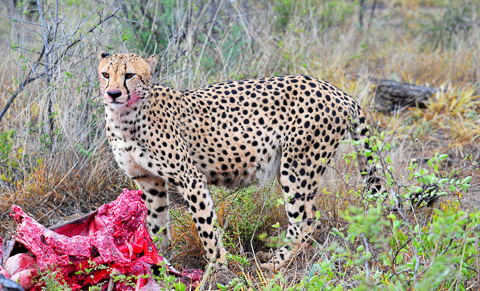 If you missed out on lunch then you have a chance for a quick snack at high tea, which is served right before the afternoon game drive goes out. 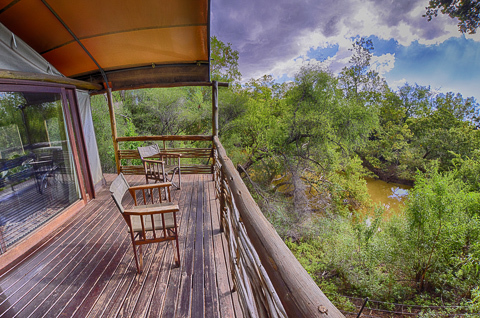 Twelve beautifully appointed tented suites lie spread out along gravel pathways and surrounded by riverine forest. 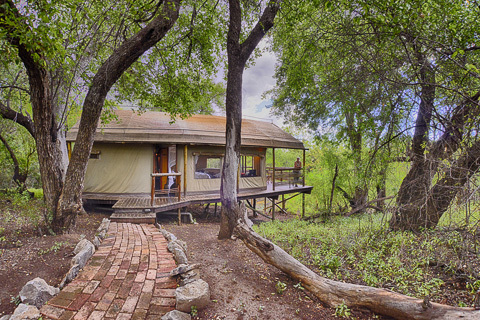 The tented suites are located between the Marico River and a small tributary of the Marico. 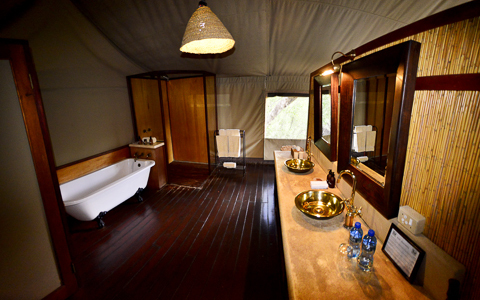 These spacious tented suites have an open-plan bedroom and bathroom; with the bathroom being behind the bed area. There is a free-standing bath, his and hers brass basin and a large indoor shower. Each suite has an air conditioner above the bed which is a nice touch in a tent, tea and coffee station, hairdryers, safe and a comfortable king size bed. 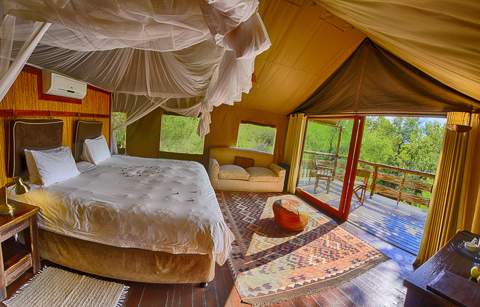 The tents all have a large glass sliding door that opens onto a private viewing deck overlooking the River. There are four family suites with a queen-size sleeper couch to cater for children. 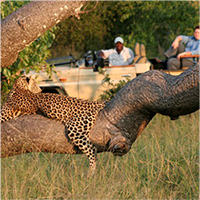 Relax round the Swimming pool or go on two guided game drives per day, one in the morning and one late afternoon. 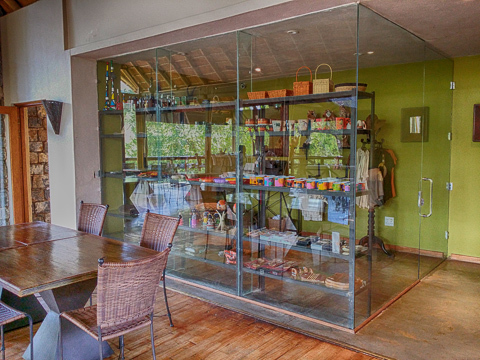 Spa treatments are also on offer at your suite and there is a small curio shop just off the lounge area. 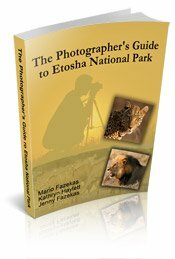 We had 3 rhino sightings- one was very close to the road giving us a nice view which was great, plus giraffe and the normal plains game; like zebra, gnus, impala and kudus, 1 lion sighting and one sighting of the 4 cheetah brothers eating the remains of their Kudu kill, which was really special for us as we normally see them either sleeping or walking into the bush! 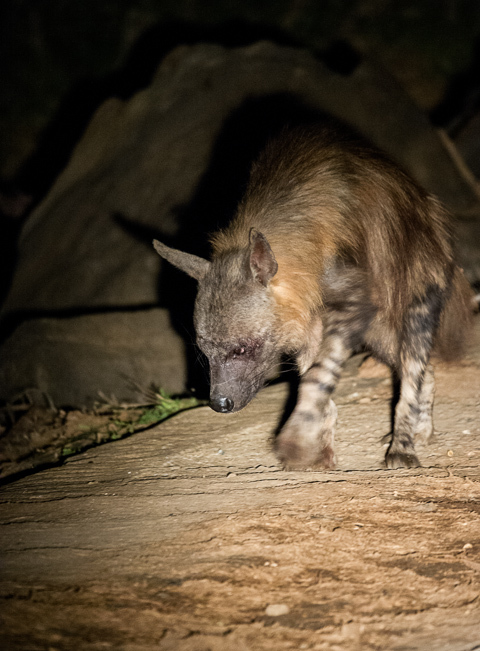 1 brown hyena, 2 spotted hyenas, jackal, and two elephant sightings and, last but definitely not least, our elusive leopard!